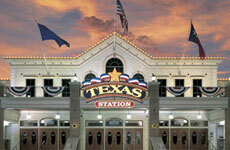 Texas Station Gambling Hall and Hotel offers gaming excitement in their 91,000-square-foot casino. The casino features a wide variety of top slot and video poker machines, including favorites such as MegaBucks, Wheel of Fortune and Station Casinos' own Reversible Royals. 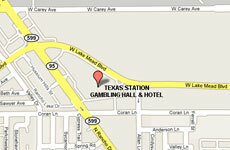 Texas Station Gambling Hall and Hotel also offers table games. 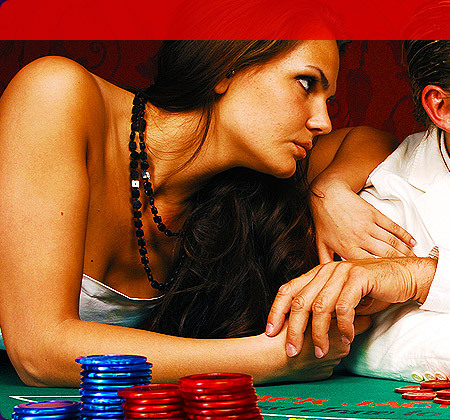 There's also a live poker room, a 24-seat Keno Lounge, a 220-seat Race and Sports Book and a 486-seat Bingo Room. 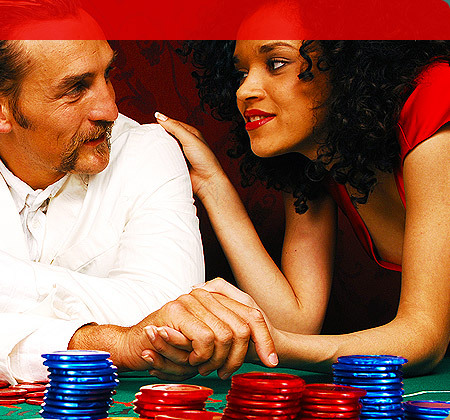 Texas Station's Bingo Hall offers a variety of games, exciting jackpots, and great specials. Sessions are played at 9:00 am, 11:00 am, 1:00 pm, 3:00 pm, 5:00 pm, 7:00 pm, 9:00 pm and 11:00 pm every day. For only $1, play the Jumbo Bingo Progressive for a chance to win your share of $100,000 or more! Jumbo Bingo is the first game played of each session and is linked among 6 Station properties. Meanwhile, Texas Station's Keno lounge is open from 8:00 am to 12:00 am, seven days a week.